Outdoor toys and games are a great way to get your kids active while having fun doing it. We’ll help you find games and outdoor toys so you all can create unforgettable memories. 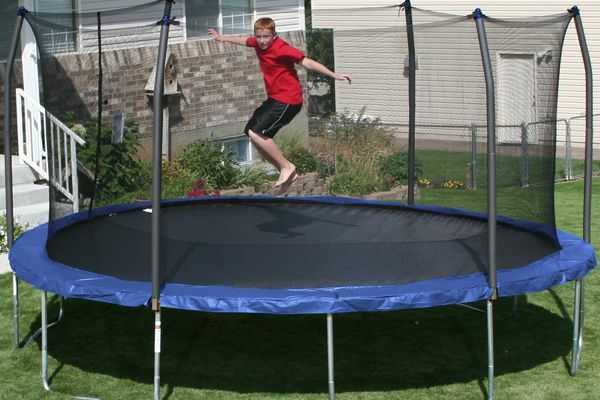 Discover the advantages and disadvantages of in ground trampolines. 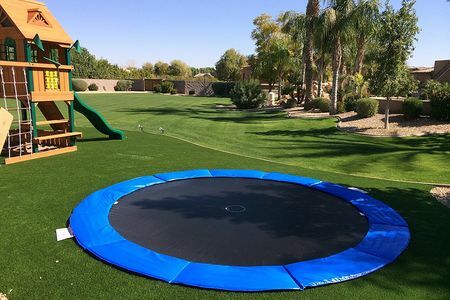 Learn to install your own in-ground trampoline and choose the best options. 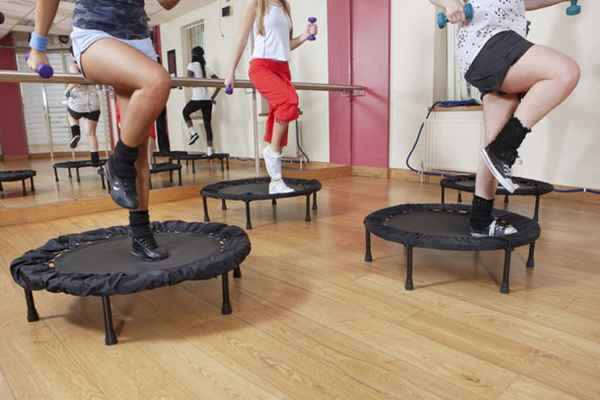 Trampolines have so many benefits that you cannot afford to miss out on. 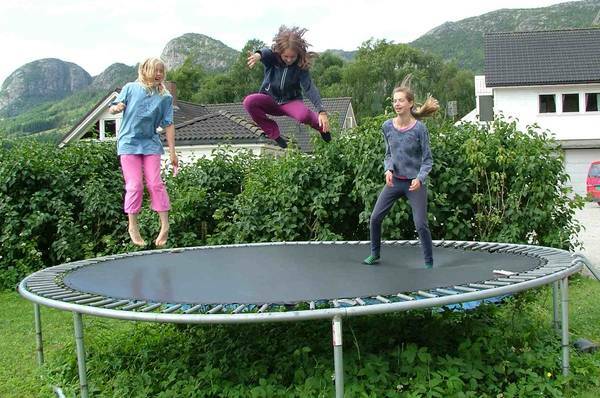 Before you buy, make sure you are aware of how much weight a trampoline can hold. 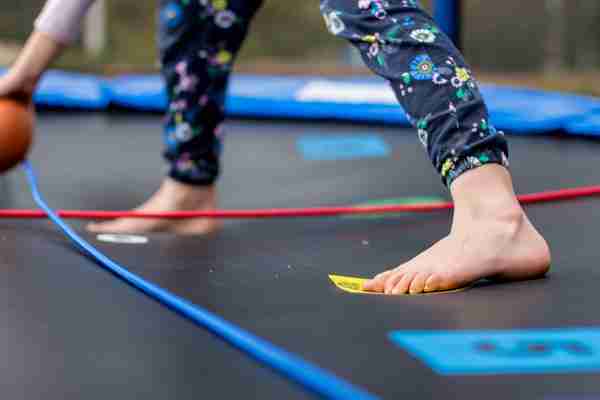 Maybe you remember a time when you were younger and loved bouncing on a trampoline. Well guess what? Adult trampoline use is popular too. Trampolines are very versatile, and with little imagination, we can spend entire summer days on them by ourselves or with friends. Let's have fun! Also known as ladder toss, ball rope, or hillbilly/redneck golf, it’s a great game that doesn’t demand a lot of equipment or space to play. Let's have fun! Regulation Bocce courts are 91 feet by 13 feet. But you can use other sizes. The ratio is usually 1:5 to 1:7. 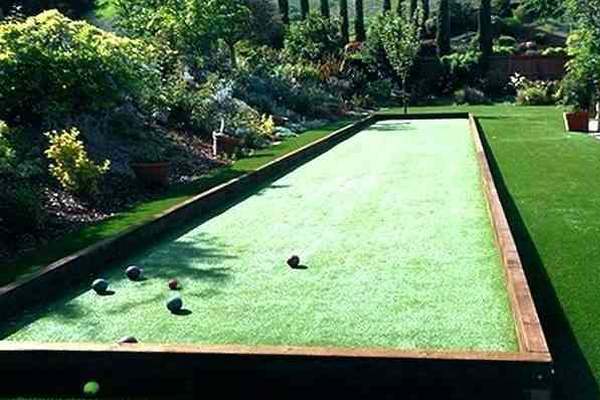 Read more in our bocce ball court guide. Rebounding really works for weight loss. 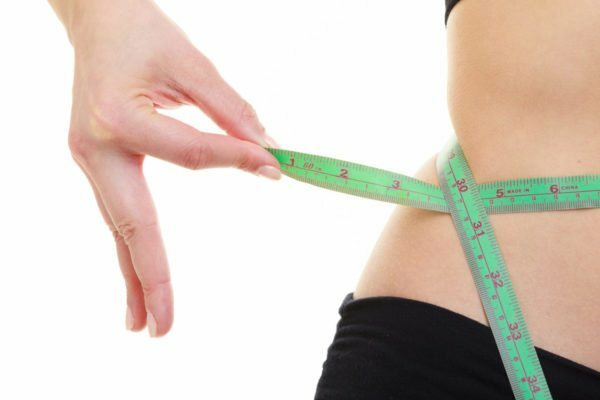 It is also one of the most recommended weight loss exercises. What’s more, it’s cheap, easy, and very convenient. Yes you can. Just make sure not to use soap with potentially damaging ingredients. 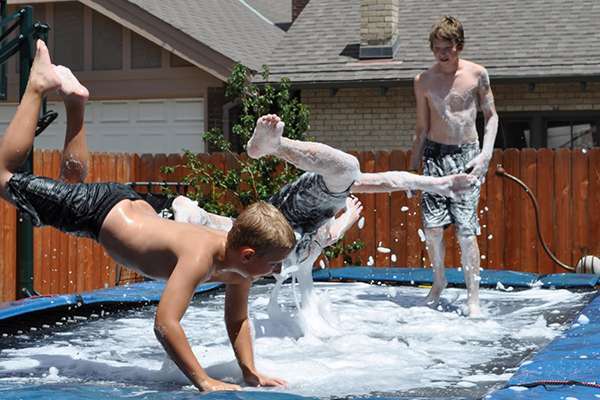 So let’s talk about which soap would be safe to use on a trampoline. Rebounders can be very expensive, but their price is usually linked to their quality. Prices can vary from around $50 to $1000. It depends on many factors. 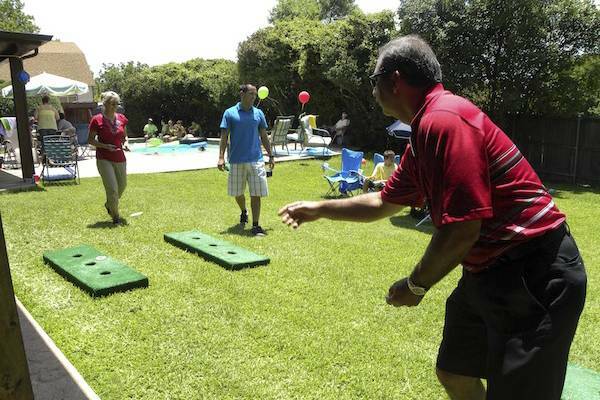 The objective of the game is to earn points by throwing small pieces of metal called “washers” into a hole. They usually have 2” in diameter. Read more here.